Helping kids learn about exercise and nutrition is a great way to build a healthy lifestyle from the start. Shaun T’s Fit Kids Club workout DVD is a great way to introduce your kids to exercise and nutrition. 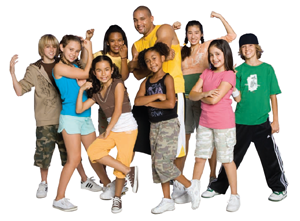 An in-home dance-based fitness program, Shaun T’s Fit Kids Club is for children ages 7 and up. These workouts will engage your children, matching their interests and energy levels! 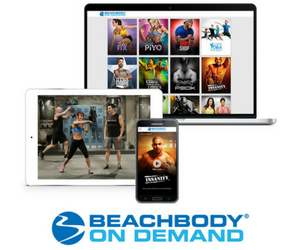 Shaun T. makes the workouts fun and easy to follow. Getting young ones moving at an early age helps them create healthy habits for life. Shaun T. is an awesome trainer who grooves with the kids every step of the way. This workout will get your kids off the couch and moving and grooving. This fitness DVD is in a fun setting where the kids even talk with Shaun T. about the importance of exercise. Smart Snacking Guide teaches sensible eating and helps choose the best healthy, kid-friendly snack ideas. Guide to Reading Nutrition Labels shows you how to read food labels so you can evaluate what’s in the foods you eat. Kids who want to maintain their weight. Your heart rate goes up with these workout so you can increase your fitness level each time you exercise. 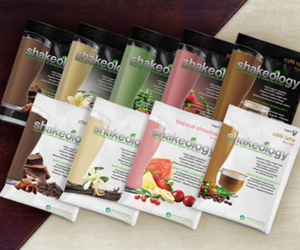 With Shaun T’s Fit Kids Club, your size or shape doesn’t matter. These workouts are so much fun, you won’t even know you are exercising! And, our expert trainer’s engaging energy gets you moving! Filed Under: Kids Tagged With: Fit Kids Club, shaun t.